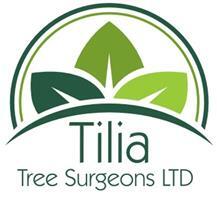 Tilia Tree Surgeons Ltd - Garden Services, Tree Surgeon based in Waterlooville, Hampshire. Tilia Tree Surgeons are a highly motivated company that pride themselves on doing tree work to the highest standards.We are a polite, approachable and reliable business that always put customer satisfaction first. Tilia Tree Surgeons are fully qualified and fully insured to carry out all aspects of tree work.We also provide a 24 Hour call out service. We will also give you free advice to ensure that only the necessary work is carried out. Free quotations are given with no obligation.